Get that full concert experience. 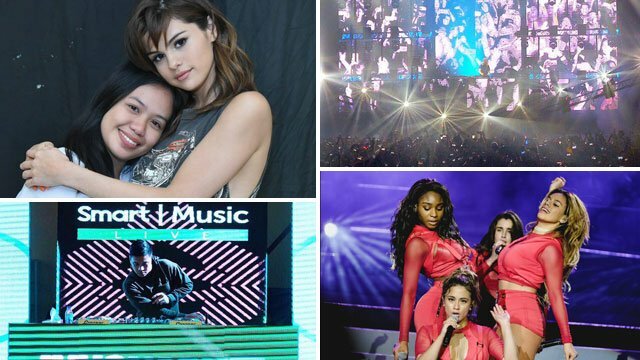 (SPOT.ph) As it is, 2017 turns out to be a major wallet-buster as more international artists fly in to give Filipinos pretty much a year-long concert high. 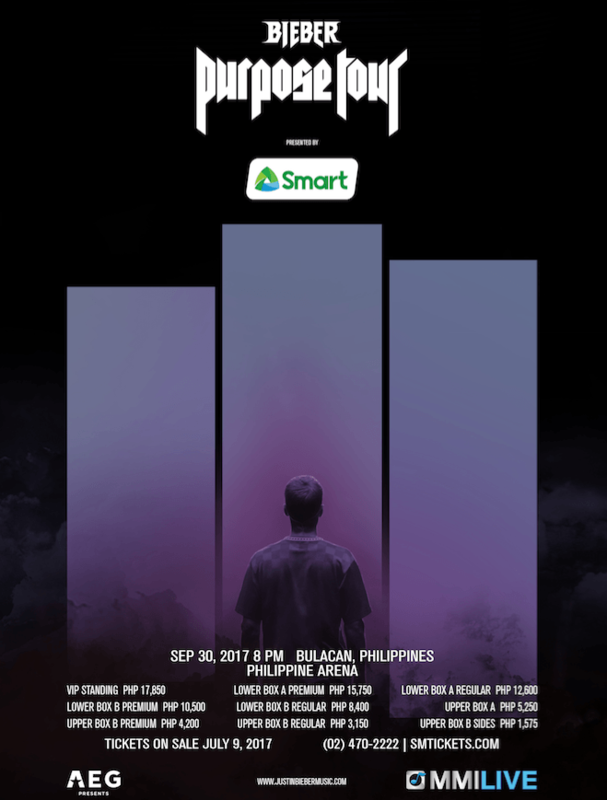 September is packed with the concert high as the Purpose World Tour lands in the Philippines. 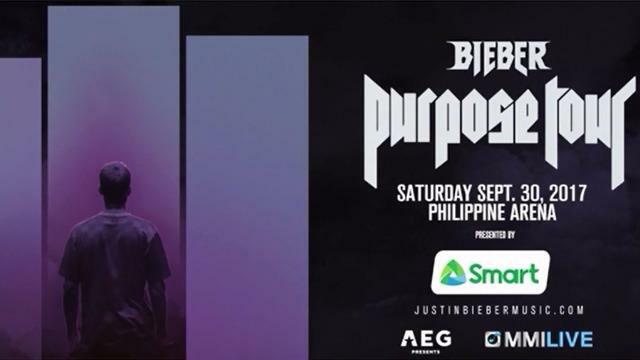 Justin Bieber is back, this time at the Philippine Arena on September 30, so get ready to fangirl in style. Smart subscribers had the first crack at the tickets through an exclusive ticket pre-selling activity on July 7. 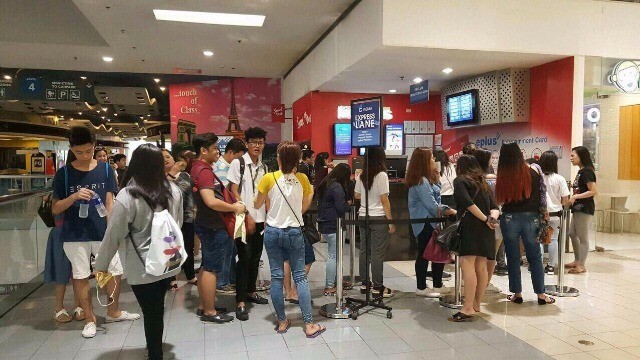 Bieber fans lined up early at the outlets of SM Tickets to get their hands on #SmartJustinBieber concert tickets. However, Smart is not done in making 2017 as one of the bests in the concert scene. Much more than bringing over the biggest musical acts, Smart Music Live also ups the ante by giving Smart subscribers access to much more than a concert performance. Aside from a chance to score tickets to your favorite acts, you can also see exclusive content like behind-the-scenes interviews and footage, pre-event activity booths, and even take home premium souvenirs. You can also get the chance to roll into the concert VIP-style in a party bus and maybe fulfill your dream of meeting your idol. Smart has had a long history of ruling the Philippine concert scene through Smart Music Live, with sold out concerts like Britney Spears, Katy Perry, One Direction, Taylor Swift, Selena Gomez, and Shawn Mendes, to name a few. This year though, Smart Music Live takes it to a whole new level as they fly in acts like Justin Bieber, Ariana Grande, and In The Mix headlined by 5 Seconds of Summer, Two Door Cinema Club, and DNCE. To say that Smart Music Live is bringing the big guns is an understatement. Bringing Ariana Grande to the country is scream-worthy in itself. 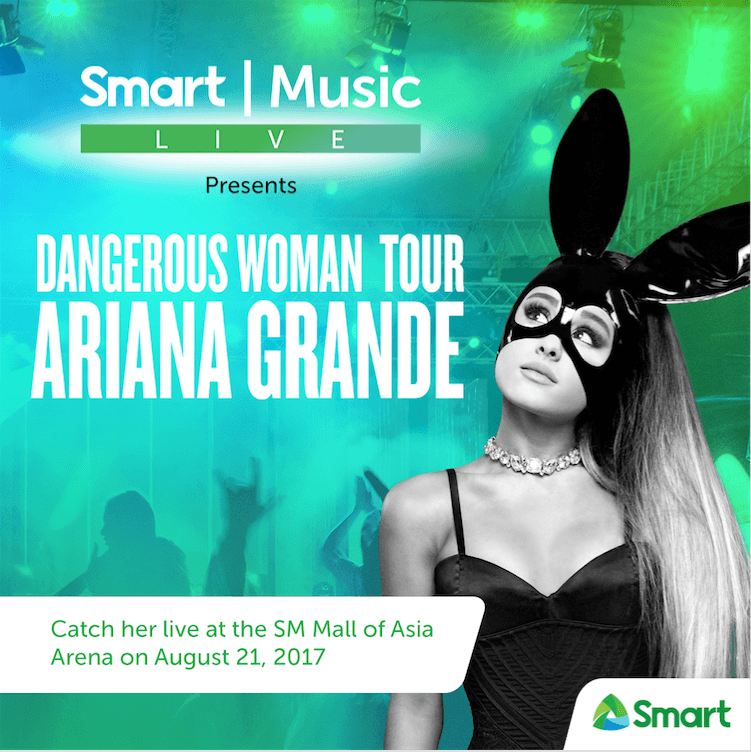 The singer of chart-topper hits like “Break Free” and “Side to Side” is including Manila to her Dangerous Woman tour on August 21 at the MOA Arena, and it's only the tip of the iceberg. 5 Seconds of Summer and Two Door Cinema Club headline this year’s In The Mix at the MoA Arena on August 17. Included in the lineup are other amazing musical acts Dua Lipa, Daya, Zara Larsson, and DNCE, so get ready for an epic party. Expect more unique perks and privileges in the next major concerts presented by Smart. To win tickets and unforgettable perks and prizes, track the #SmartMusicLIve hashtag and follow Smart’s Facebook, Instagram and Twitter accounts. Visit smart.com.ph for more details.